We send active EMS professionals right to your location to provide AHA certified CPR training. And to complete your AED program, AED Superstore now offers medical direction for AEDs. We’ll register your AED with your local EMS, assign a physician to provide you with a state specific policy and procedures manual, provide software to track expirations, and offer a loaner if your AED is used in a rescue! Ensure everyone is CPR trained, and your AED is maintained. 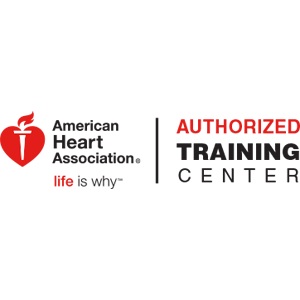 American Heart Association (AHA) Heartsaver Training Courses for CPR/AED, First Aid, or combined CPR/AED/First Aid. Stay up-to-date with AED Laws, Good Samaritan Laws, your AED consumables, and more with our Medical Direction and AED Program Management Service! 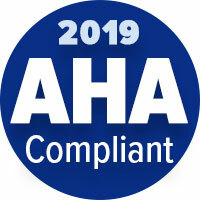 Find all of our AHA 2019 Guidelines Compliant Training Products right here!